The artist Tim Otto Roth at the test setup in February in Cologne with Antonella Nota (ESA/STScI) [right], Miriam Seidler [second from left] and engineer Michael Reyl [left]. The Heaven’s Carousel is Tim Otto Roth’s second pioneering sound project using sine waves in space to create a kind of spatio-temporal synthesizer. Yet in 2012 Roth realized as guest composer at the Centre for Art and Media ZKM Karlsruhe (Germany) in collaboration with the neuro mathematician Benjamin Staude a project connecting sound processing with neuro biological rules. With the Sonapticon they changed the 43 loudspeakers of the ZKM's Sound Dome into a network of acoustic neurons interacting with sine waves in space. In spring 2015 the permanent sound installatio aura calculata was inaugurated in the lobby of the new Super Computing Center at the Lehmann-Zentrum at Technische Universität Dresden. The installation of 39 sound sculptures is weaving with varying sine tones a continuously changing self-organizing sound tapestry based on the rules of cellular automata. First experimentation field for the spatio temporal (re)composition of sine waves: The Sonapticon realized 2011 in the Sound Dome of the ZKM. In 2003, Tim Otto Roth started his first project related to astronomy with a public light façade in Munich. For this pixel trip on the retinas of particle and astrophysics he was awarded the International Media Art Award by the Center for Art and Media ZKM Karlsruhe in 2004. In the very same year he visited as the first artist the Paranal Observatory of the European Southern Observatory (ESO) in Chile. 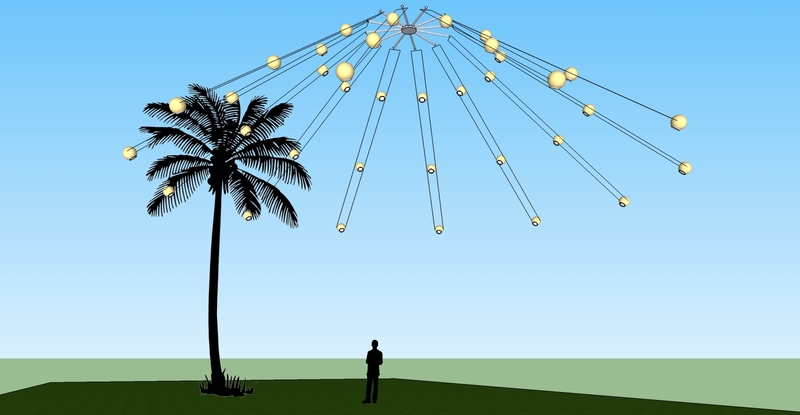 Much attention was given to his project oscillating between particle and astrophysics: Cosmic Revelation transformed the cosmic ray detector array of the KASCADE experiment at the Karlsruhe Institute of Technology into a giant flashing light field of 40 000 sqm eliciting associations to Walter de Marias Lightning Field (Honorary Mention by Ars Electronica 2009). The renown Oxford professor in art history Martin Kemp has summarised that novel concept bridging art and science:„A new art is encoding a new science.“ [Nature 458, 836]. 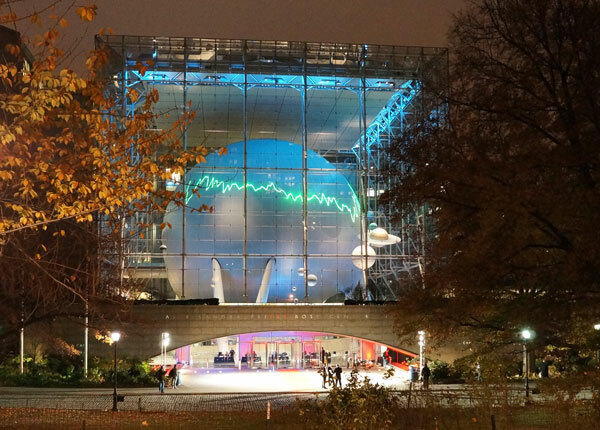 The first collaboration with Hubble: Laser projection "From the Distant Past" at the American Museum of Natural History, New York City. In 2010 Roth collaborated for the first time with the Hubble Space Telescope: : From the Distant Past translated the colour information recorded by the telescope into a pulsing green laser projection in the heart of Venice at the Palazzo Franchetti in occasion of the Hubble Space Telescope III conference. In 2011 he showed the project at the Science Center in Baltimore and as a spectacular projection on the sphere of the Hayden Planetarium at the American Museum of Natural History in New York City. Tim Otto Roth lives in Oppenau (Black Forest) and Cologne. 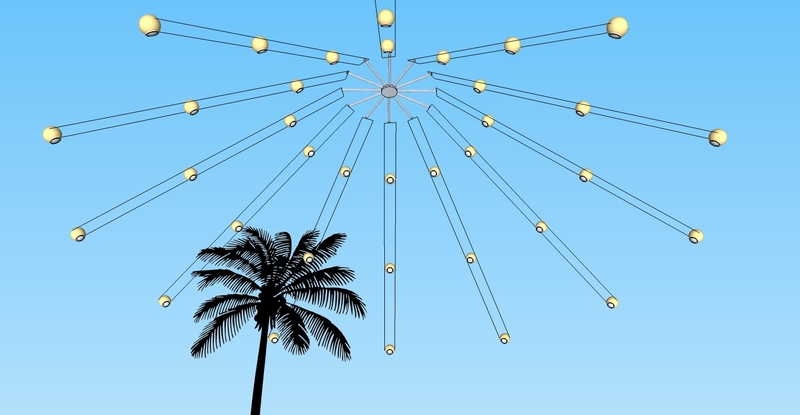 More about Tim Otto Roth as artist, researcher and his special relationship to astronomy.